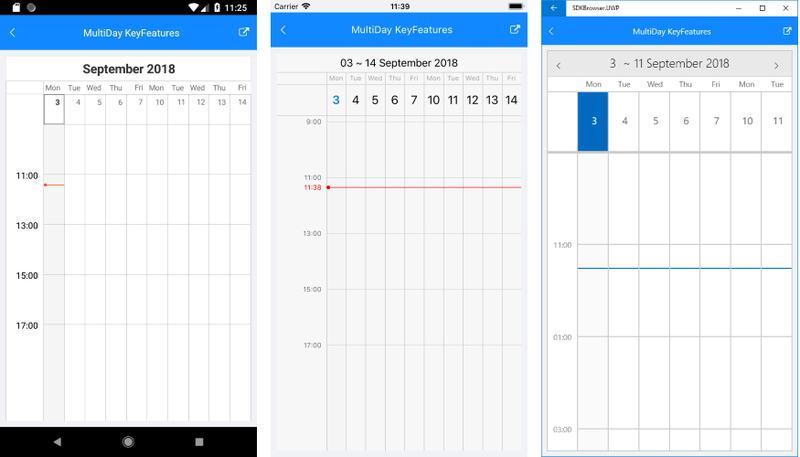 The RadCalendar comes with new MultiDay view mode (introduced in R3 2018 Release) which enables you to create a detailed view of the schedule for a specific day (or days). 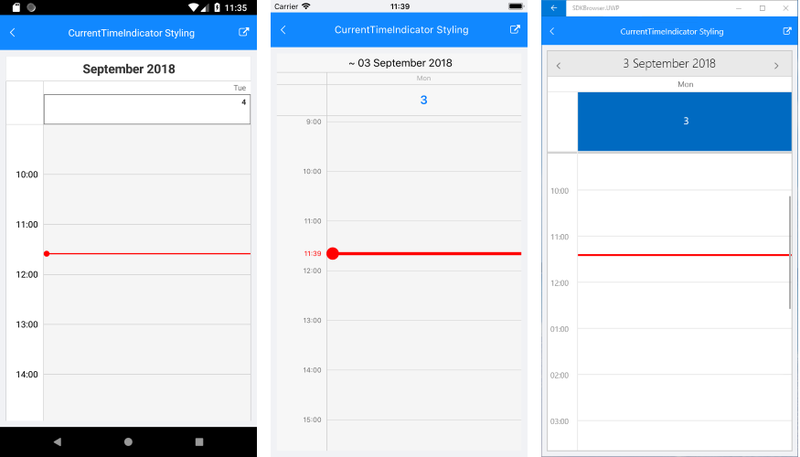 In addition, you will have full control over the way the MultiDay view is visualized through various configuration options such as day start and end times, timeline settings, current time indicator, and more. The main purpose of the MultiDay view is to display appointments to the end-users in a convenient way. For more details on the Appointments feature of RadCalendar refer to Appointments topic. This section lists the key properties of the MultiDay ViewMode so you could configure it to best suit your needs. VisibleDays: Defines the number of days visualized on the view area. The default is 7 days. IsWeekendVisible: Boolean property that will allow to exclude the weekends from the timeline, so that only the work week is displayed. IsCurrentTimeIndicatorVisible: Boolean property that enables the option to visually mark the current time. In addition, you could customize the way the current time indicator looks through a few styling properties, for more details go to Styling section. By setting IsWeekendVisible property through MultiDayViewSettings of RadCalendar, you can exclude the weekends from the timeline and display only the work week. In addition, you can configure DayStartTime and DayEndTime properties, so that only the working hours are present in MultiDay view mode. This section presents the various properties you can use for customizing the visual appearance of different parts of the MultiDay view. 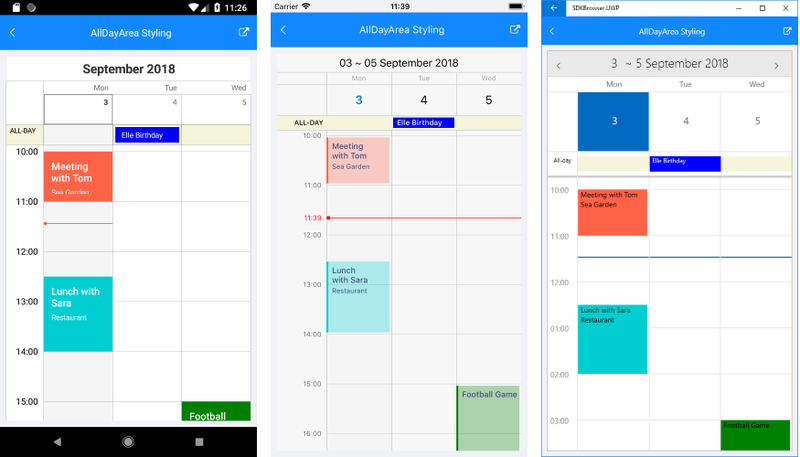 All of them are applied through MultiDayViewStyle property of RadCalendar. 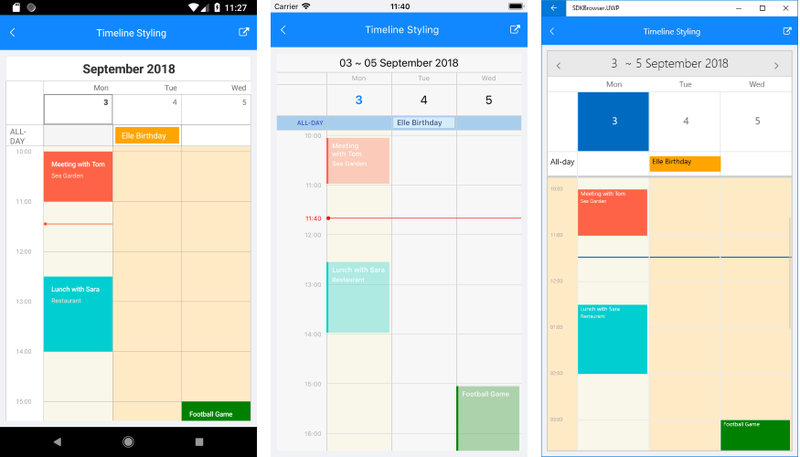 Through MultiDayViewStyle you could define the background of the timeline as well as different background to the current day, also the background and font-size of appointments inside timeline.